Bruster’s Ice Cream shops are the destinations for premium frozen desserts. They offer over 170 ice cream and yogurt flavors. With homemade recipes prepared fresh at the stores, Bruster’s lives up to its tagline “a scoop above the rest”. Bruce Reed, the founder, started in the industry with a franchise of another company. After 15 months in business, Reed decided to operate under his own brand. 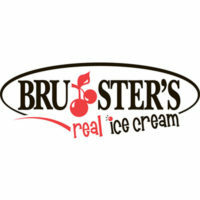 In 1989, Bruster’s Ice Cream was born in Bridgewater Pennsylvania. Bruster’s has over 200 locations in the US and Guana with more franchises scheduled to open within the next couple of years. It has a strong nationwide presence, causing it to be recognized by Consumer Picks as the 2015 #1 Frozen Treat Chain. Bruster’s provides an impressive compensation package for employees. They offer 401k to regular employees and health and dental benefits. Daily wages for entry level positions, such as crew and cashier, start at around $10. It also provides employees with fun and safe work environment. There is a friendly atmosphere in the workplace. It is exactly the same attitude one expects from a shop offering delicious and fun ice cream. How old do you have to be to work at Bruster’s? Bruster’s prides itself as an equal opportunity employer. However, it does follow state laws in terms of hiring minors. Hiring individuals who are 14-15 years of age follows regulations set by the state. Ice Cream Maker/Cook – responsible in ensuring that ice cream, yogurt, sherbets and other produces are prepared based on the standards set in terms of flavor and hygiene. This position requires exceptional organizational skills and keen eye for details. Ice Cream Scooper – This front line position is responsible for taking and serving the orders of customers. It requires a positive attitude and the ability to work under pressure. Cashier – responsible for getting payment, providing change and keeping a record of the store’s sales for the day. It requires someone trustworthy and good with numbers. Crew Leader – responsible for managing the crews or scoopers working the shift. He gets an opportunity to work with one of the leading franchise companies in the US. Individuals must be at least 18 years old to apply. Other career opportunities available at Bruster’s are shift manager and store manager. All employees receive the necessary training to become successful in the roles they decide to take on. Applying at Bruster’s is easy. Just download the PDF application form on its official site then bring it to the location where you wish to work at. Bruster’s does not currently process application for store positions online. When filling out the application form, provide all the needed information. Leaving out certain fields may reflect poorly on you as an applicant. Read the form carefully to understand the evaluation questions. If you are under 18, you need your parent or guardian’s signature in the form. Your attached resume also contributes to the application. Spend time reading your prepared resume. Make sure to list all related job experiences. Some of the interview questions will be about handling stressful situations. When you respond, remember that they are looking for someone who is fun and friendly but can work under minimal supervision. Bruster’s is a company known for its high quality product and good service. It offers a fun environment for both employees and customers. It also prides itself in ensuring that customers get more than what they expect. Bruster’s continues to grow as it opens more than 15 new franchise stores in 2016 alone. It has several franchise offers, like veterans and Piedmont Triad discounts, making it more convenient for entrepreneurs to bring Bruster’s to their neighborhoods. Bruster’s continues to be the leading ice cream chain because of its dynamic homemade recipes. Customers constantly receive offers for new and exciting treats ideal for whatever season. Bruster’s Ice Cream franchise stores are part of local communities that help charities and organizations. It also participates in online fundraising events offering both cash donations and food.